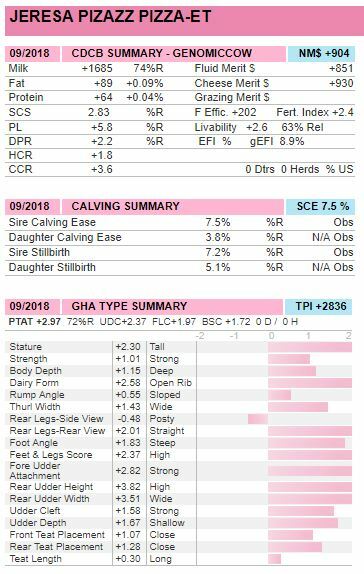 SPECIAL OFFERING... One of the highest Pizazz daughters in the breed and one of the ONLY 4 heifers in the breed to combine: Production (>1600 PTA Milk, >80 PTA Fat, +60 PTA Protein), Type >2.90T & DPR >+2.0 and SCE <7.5%... And possibly the ONLY ONE AVAILABLE! 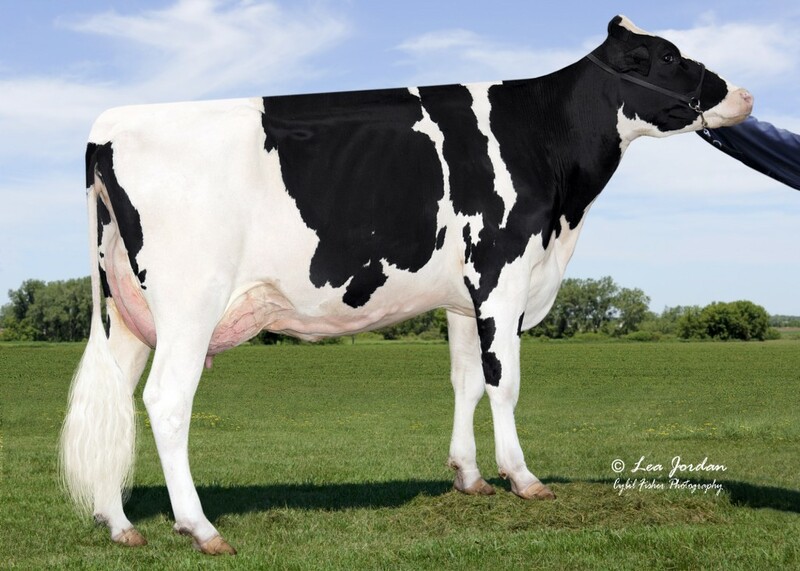 Unique sire stack back to Keystone Tesk Pearl EX-92! Special CONSIGNMENT! Top-Ranking PIZAZZ daughter! #6 GTPI, #3 gPTAT Pizazz daughter in the BREED! And possibly the only one available with these kind of numbers!